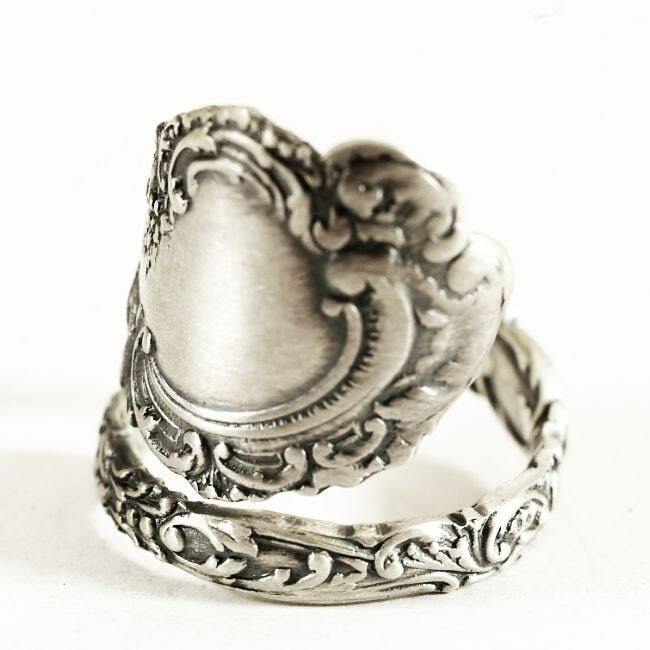 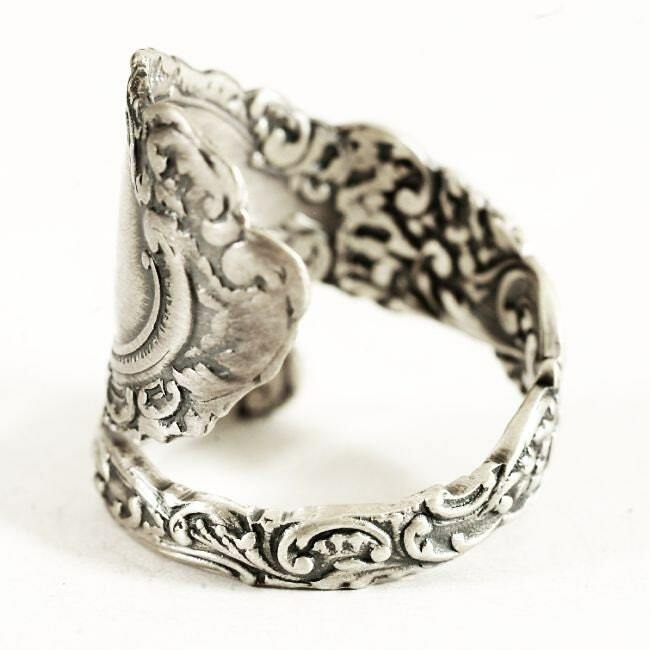 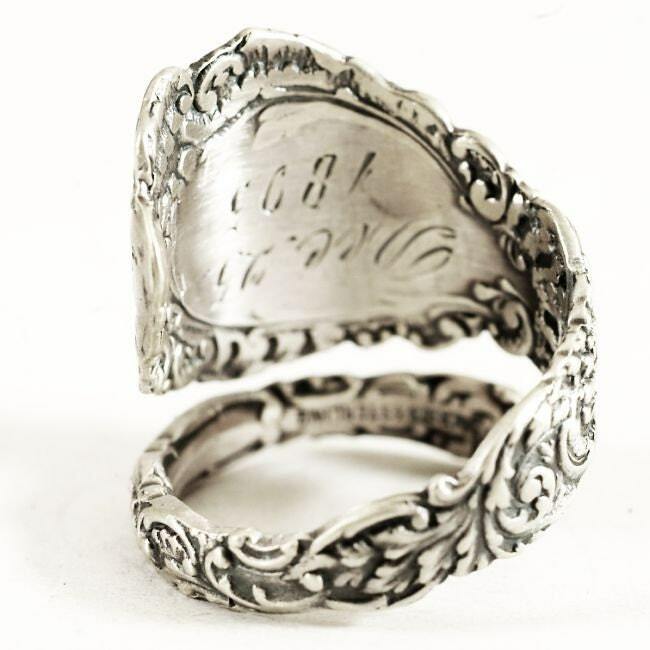 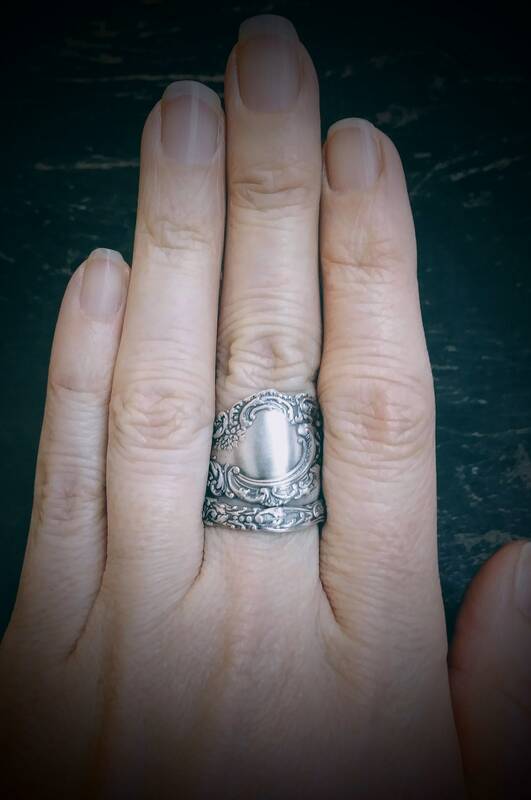 An antique Art Nouveau floral memento, this sterling silver spoon has been hand crafted into a beautiful ring! 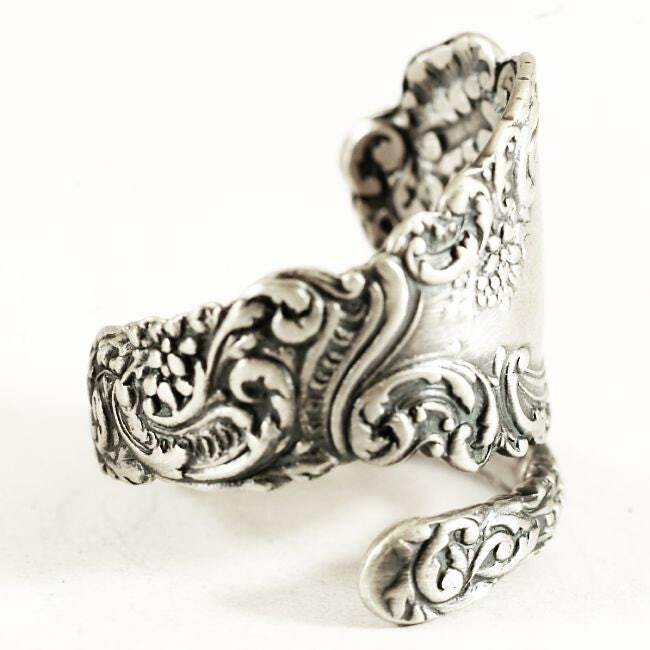 Depicted is a stunning Victorian pattern. 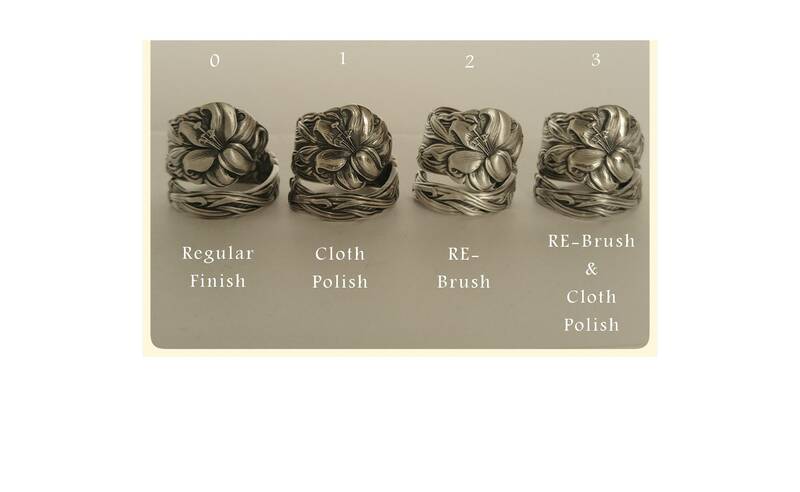 The original spoon was made by R Wallace & Sons in 1899 in the pattern called "Louvre". 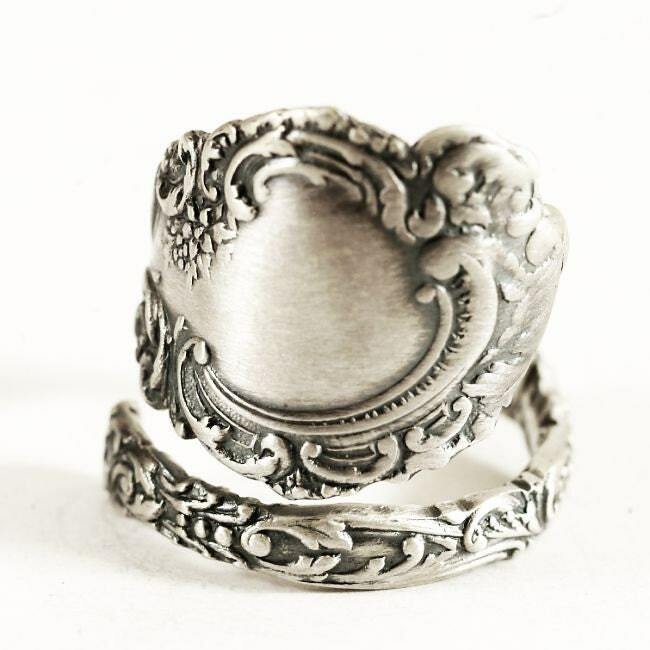 Absolutely stunning addition to this ring to make it a more unique and up-cycled addition to your attire!